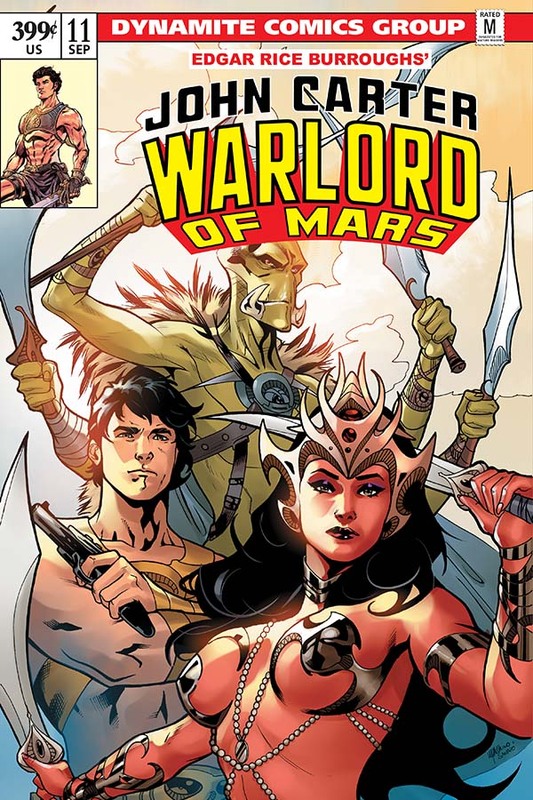 After last issue's Tars Tarkas adventure, we return to John Carter and Dejah Thoris as they discover "Lost Empires!" 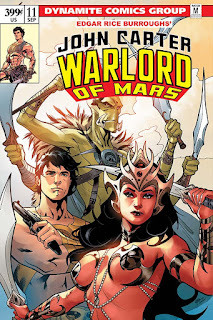 The first of another two-part story, "Lost Empires" gets off on a clever start, bringing in the Orovars and Barsoom's past before devolving into a standard "angry former fill in the blank from Helium seeks revenge against John Carter and/or Dejah Thoris" plotline. Maybe it was just meeting Pallias and his gang with no prior knowledge of them or the fact that this has been done quite a bit already in this series. Or maybe it's time to bring in some of the other characters from the novels to provide a more involving story than one-dimensional bad guys. Still the Orovar history is fascinating and if nothing else the final page is a real cliffhanger. Ariel Medel's art helps keep it moving, with enough action sequence to show off Medel's style. No complaints there folks. Hopefully the next part will pick up the pace and raise the stakes. Until next time folks.